In 2006 the villages of Grovesend and Waungron won a six-year legal battle over air pollution caused by a fire from a coal tip at the old Brynlliw colliery in Swansea. The Coal Authority acquired responsibility for a disused tip at the old Brynlliw colliery and sold it as open land to a group of commoners. In 1996, fire broke out at the tip. The fire burned for more than three years, resulting in clouds of smoke and fumes. The M4 motorway closed down on several occasions due to poor visibility. The local residents went to court and claimed for nuisance caused to them due to loss of the use and enjoyment of their homes. Some of them suffered breathing difficulties as a result of the fumes and smoke. The Coal Authority argued that at the time the tip was sold, there was little risk of it becoming a fire hazard and that they had taken reasonable steps to prevent a spontaneous fire outbreak. 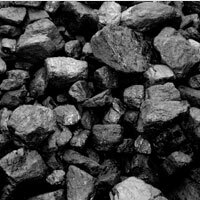 The court dismissed the Coal Authority's arguments and found it liable in private nuisance.